Have I mentioned that I love St. Patrick’s Day? Well, I LOVE St. Patrick’s Day! Hence the little green background that I’m sporting this month even though it really doesn’t work with the color scheme I’m playing with. Which, if you stop on this site somewhat regularly (thank you, by the way!) you’ll notice keeps changing because I’m indecisive and not the best at settling on colors. I painted my last bedroom four times and was still never satisfied. Come to think of it, I change my mind all the time about online everything. I used to edit my online dating profile every time I went on the darned thing. Thank dog that I now have this site to obsess over instead and actually met the best man ever so I’m out of that world. But maybe I’m getting a little too personal. Back to St. Pat’s. Every year I spend it feasting with friends, listening to good Irish punk music and drinking Guinness, which I rarely let myself do (I think the last one I had was during the World Cup in July). This year I’m starting early, preparing some allergy-alternative options for the little shindig I’m hosting. A few days ago I made Gluten-Free Irish Soda Bread, which made me do a little happy dance. 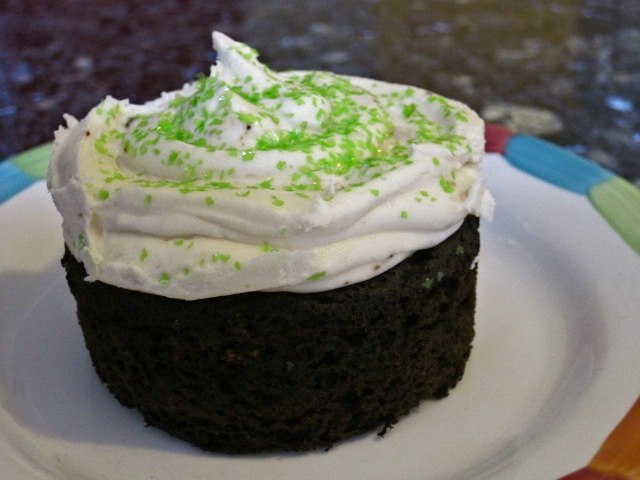 And the other night my roommate had some friends over to watch the Oscars, which was the perfect time for me to play with an allergy-friendly alternative to the Irish Car Bomb Cupcake recipe I’ve made for the past few years. I’m still going to make it for the pals who are coming over for St. Pat’s (in case any of you are reading this, I’m not only going to stuff you with healthier options), but frankly, I want a treat I can eat! 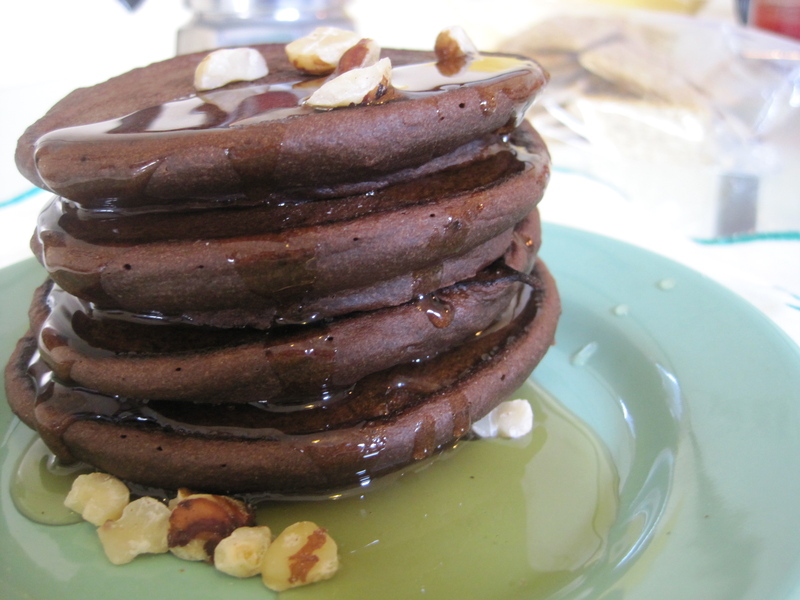 So this recipes uses carob instead of chocolate (primarily), gluten-free flour and can be made completely dairy-free by using butter flavored Earth Balance instead of the unsalted butter I used. I’m still playing with sugar alternatives (I’m not a fan of using agave syrup and xylitol can be a bit rough on my stomach… the experimentation for this hypoglycemic continues!) 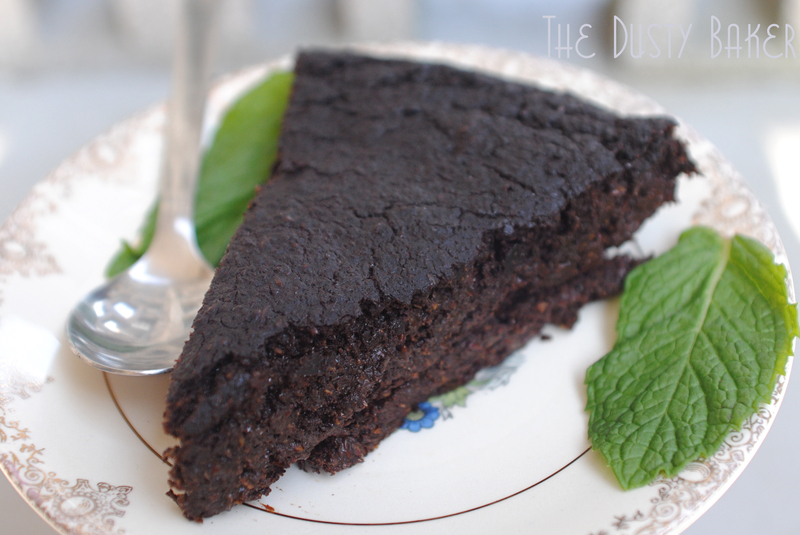 so powdered sugar made its way into the frosting and organic sucanat into the cake. 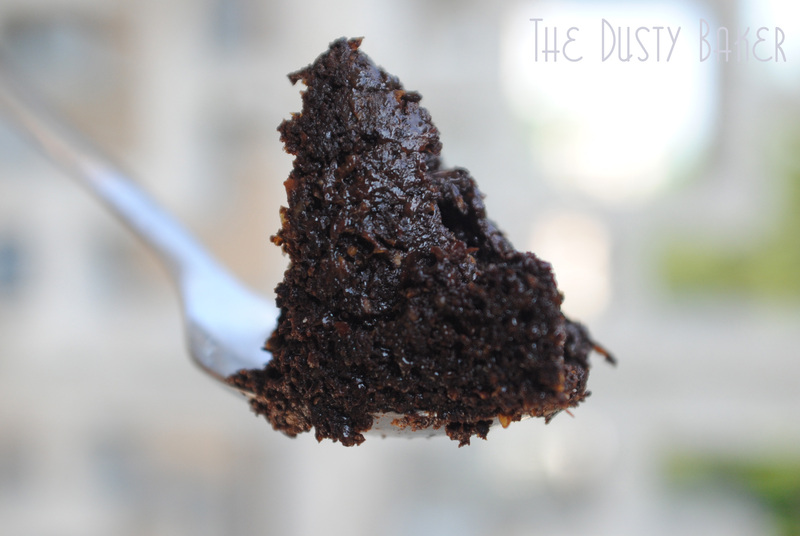 The result was a dense carobey-chocolatey cupcake with a nice bang of whiskey to it. The buttercream frosting is just delicious and overall the amount of sweetness between cake and frosting was in perfect balance for me. Preheat oven to 350 degrees. 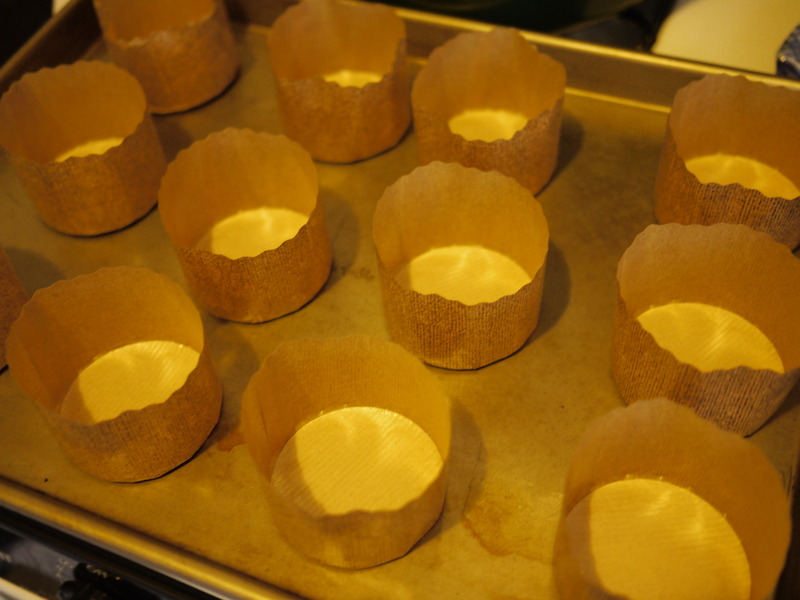 Prepare 20 cupcake tins with liners or use these nifty mini-pannetone liners I found at a baking supply store. Using these will make your cupcakes a bit squat but they’re pretty when frosted and SO easy to use. For the actual St. Pat’s party coming up, I’ll be using metallic green liners in regular tins. Oh, what a fun world we play in! 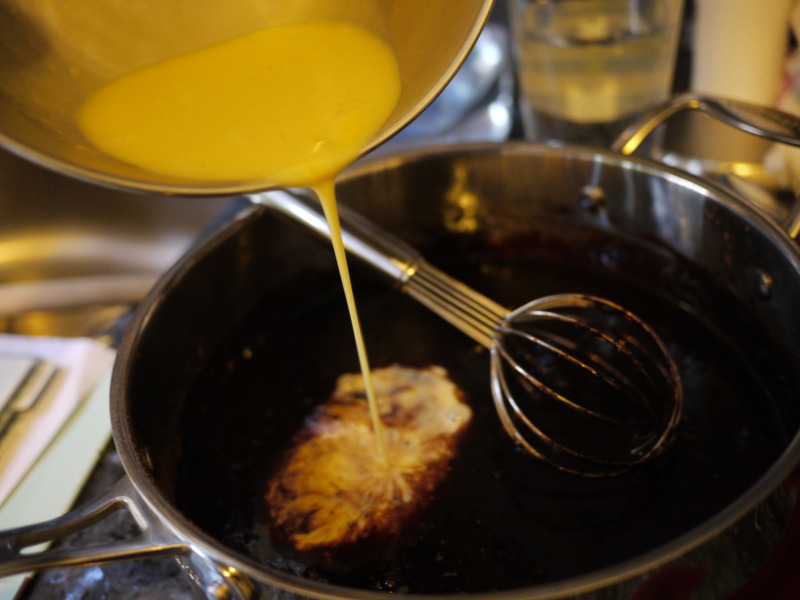 Set a large saucepan over medium heat and add the 1 cup of milk-alternative or Guinness and butter, let butter melt and whisk together. Whisking constantly, add coffee and whisk until dissolved. 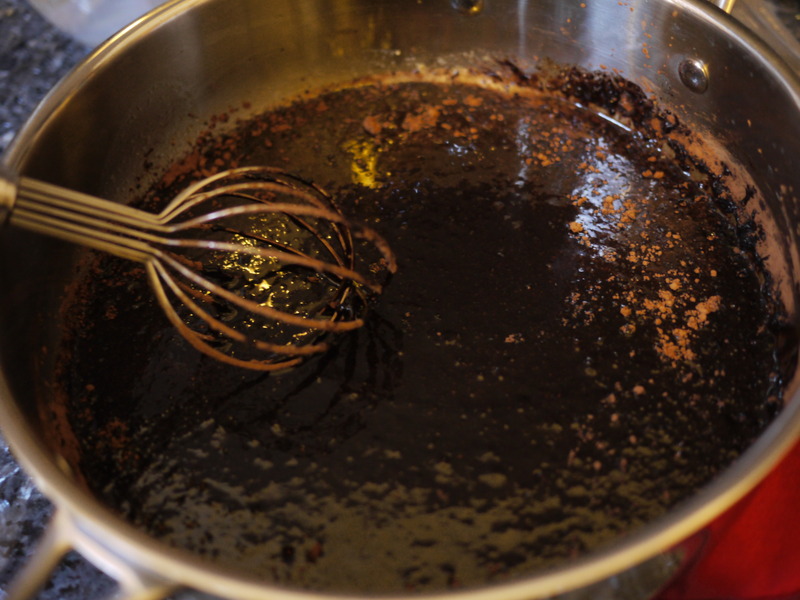 Remove from heat and then slowly add carob or cocoa powder, and whisk together until completely incorporated. 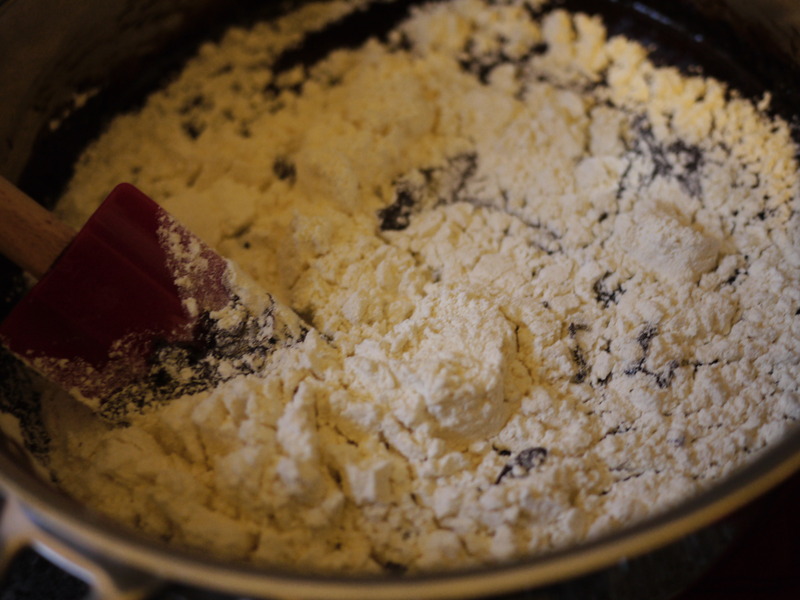 In a medium bowl, sift the flour, baking soda, xantham gum and sugar. In a second bowl, whip the eggs until light and foamy, and then add vanilla and 1 cup of almond milk or milk of choice. Whip until creamy. Slowly pour the egg/milk mixture into the chocolate mixture, whisking continually until well blended and no dark traces remain. 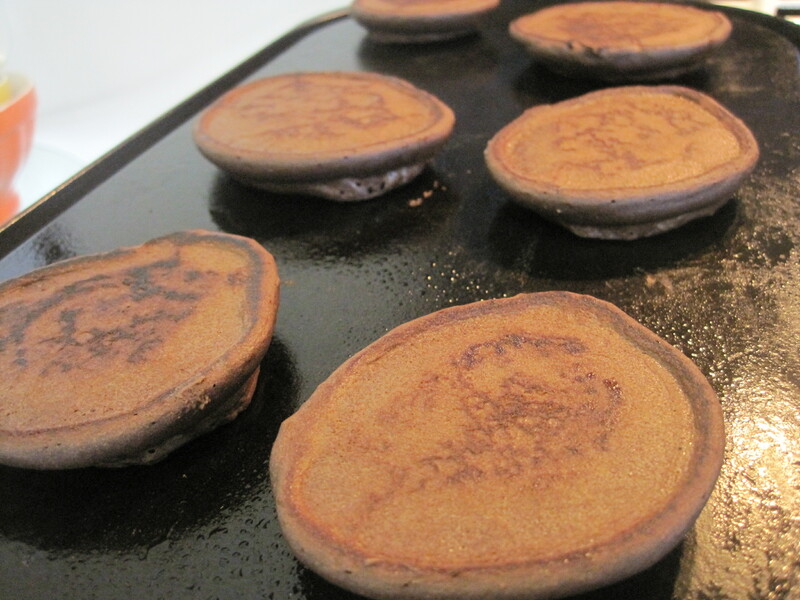 Fold in the flour mixture until just fully incorporated. Fill cupcake liners equally, and bake at 350 degrees for 22 minutes or until a toothpick inserted in the center comes out clean. Remove to cooling racks and cool for about 10 minutes before filling. To make the filling, place all ingredients in a medium bowl and beat with a hand mixer until smooth. Taste test – if the flavor of the whiskey is too strong for you, add a bit more soybutter and almond milk. 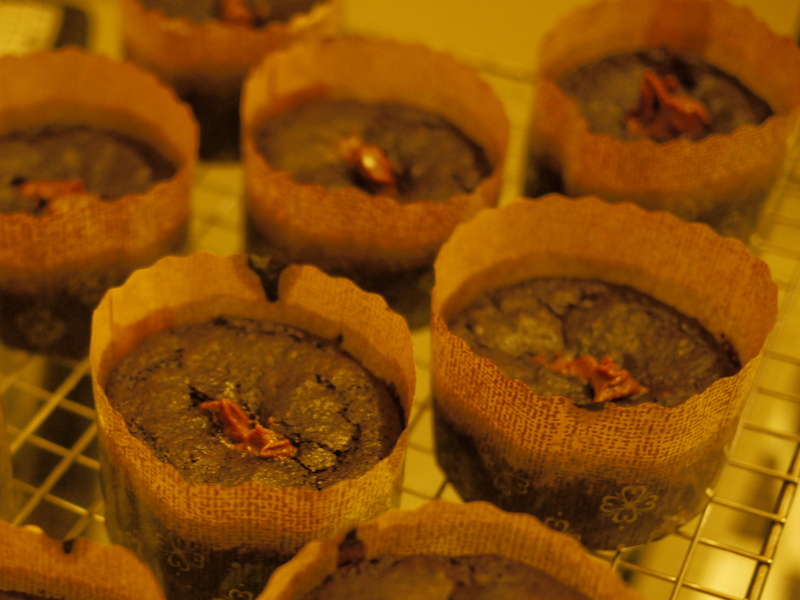 Put mixture in a pastry bag or one-gallon plastic bag and cut a small hole in one corner. 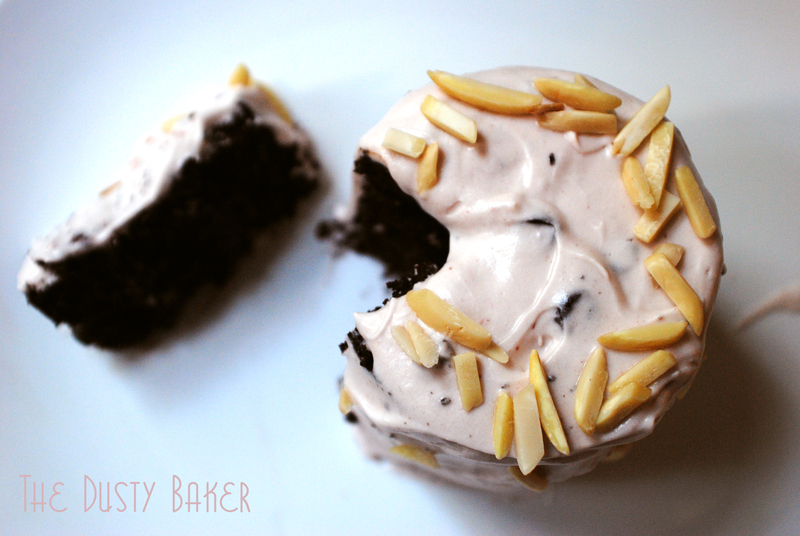 Make a small slice in each cupcake and fill with as much chocolate-whiskey frosting as you can! 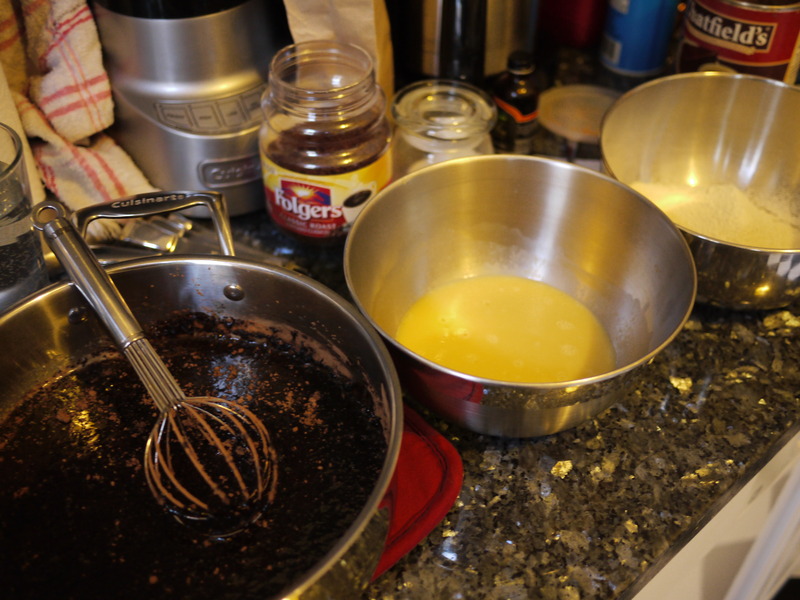 For the frosting: Place the whiskey, vanilla and instant coffee in a medium bowl and whisk to dissolve the coffee. Add the butter and, using a hand mixer, beat until smooth. Progressively add the powdered sugar until fluffy and light. 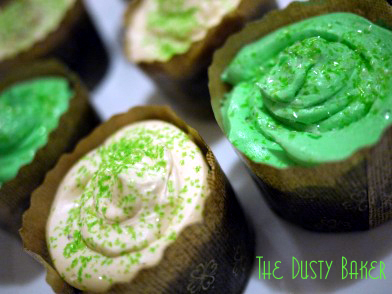 Ice half of the cupcakes with this white icing, then add a few drops of green food coloring and beat to incorporate. Have fun decorating! I used edible glitters – one opaque and one light green, and some coloring gels. A small container of the glitter lasts FOREVER and creates a shimmery touch. Fun fun.